Our goal is to connect people with the best local experts. 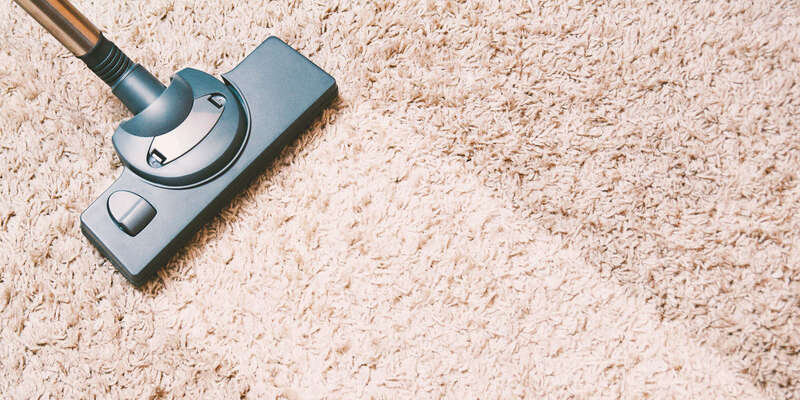 We scored carpet cleaners on more than 25 variables across five categories, and analysed the results to give you a hand-picked list of the best carpet cleaners in Gaithersburg, MD. Bethesda MD Carpet Cleaning is a residential cleaning company that serves homes in the Bethesda area. They offer a deep dry cleaning for carpets and rugs and have gotten positive customer feedback for their professional and courteous staff. Bethesda MD Carpet Cleaning also lists air duct cleaning, steam cleaning, and hardwood floor buffing among its services. They have reasonable rates on new carpet installation and purchase their supplies directly from the manufacturer, saving their clients money and time. Bethesda MD Carpet Cleaning uses state-of-the-art equipment to renew customers’ upholstery and recommends regular deep cleaning of indoor furniture. They specialize in upholstery renewal and can also help customers who need their air ducts cleaned on a regular basis. Carpet Cleaning at Germantown proudly serves customers in Germantown, Maryland. The company provides steam cleaning services because it finds customer satisfaction levels are much higher with steam than dry cleaning because steam cleaning leaves no residue. Carpet Cleaning at Germantown uses safe, biodegradable detergent pre-spray followed by a textile rinse that leaves carpet virtually residue free. Carpet Cleaning at Germantown takes potential customers' calls 24/7 to schedule carpet cleaning services. Another 24/7 service Carpet Cleaning at Germantown provides is water and flood damage restoration. Additionally, Carpet Cleaning at Germantown offers air duct cleaning, dryer vent cleaning, rug cleaning, and chimney cleaning and sweeps. Carpet Repair Services, Inc. is a carpet cleaning company based in Germantown and serves both commercial and residential clients. Owner Patrick Royster founded the company in 1991. He dedicates himself to serving customers with the highest level of technical proficiency and standards. The company is licensed, bonded, and insured, with all technicians participating continuously in industry education programs. Services include carpet cleaning, specialty stain removal procedures, carpet re-stretching, color repair, and much more. The company also provides carpet installation and repair services. The business has received its certification through the Institution of Inspection, Cleaning and Restoration. It holds numerous certifications such as Certified Carpet Inspection, Water Damage Restoration, and Commercial Carpet Maintenance from the Flooring Consultants and Inspection Training Service. Crown Carpet Care, Inc. is a family owned and operated business founded in 1985 by John Paran, who has experience in the carpet and upholstery industry dating back to the late 70s. John became a certified cleaning technician, and he started his own business with the goal to give his customers' carpets the royal treatment. John is proud of his skilled and motivated crew, powerful truck-mounted cleaning equipment, and safe cleaning products. The company has certification from the Institute of Inspection, Cleaning, and Restoration. John Paran and the entire team at Crown Carpet Care, Inc. pride themselves on treating their customers like family. Gaithersburg Carpet Cleaning, in Gaithersburg, Maryland, is a cleaning company that strives to offer deep cleaning with a gentle touch using industrial-powered technology for residential and commercial customers. The company provides a wide variety of services such as pet odor and stain removal, spot treatments, tile and grout, carpet cleaning, rug repair and cleaning, upholstery cleaning, deodorizing and mildew treatments, construction cleanup, emergency water removal, and more. Technicians use only environmentally safe products that are safe for pets and people. Free quotes are available, they offer one-time service and recurring schedules, guarantee 100% customer satisfaction, and serve all of Montgomery County. William R. Emshoff owns and operates Guarantee Carpet Cleaning Co., in the areas of Washington, DC, Northern Virginia, and Frederick and Montgomery counties in Maryland. As a certified, fully-insured, and bonded company, Guarantee handles all sizes of rug and carpet cleaning and repair with a dynamic 12-step cleaning process, and offers expert service for cleaning tile, hardwood, and air ducts. Powerful state-of-the-art equipment makes quick work of flood damage, and they are proud to have the most advanced Rug Revolution ProStar SS Centrifuge for area rug cleaning. Efficient, affordable cleaning solutions for residential and commercial customers is Guarantee’s goal, with an emphasis on eco-consciousness, professionalism, and expertise. JLM Cleaning Solutions is a floor cleaning company located in Silver Spring, Maryland. They have over a decade of experience in the cleaning industry, and they serve both residential and commercial properties in their area. Commercial buildings they have experience cleaning are offices, schools, and apartment complexes. Their cleaners are certified and are also trained to remodel and paint rooms and buildings. They provide carpentry, electrical, and plumbing work as well as power washing, painting, and repairing. Customer service and safety are their top priorities, and they offer a satisfaction guaranteed policy as well as eco-friendly, natural products that are safe for humans and the environment. My Carpet Cleaning Service has been offering professional cleaning solutions to customers throughout Silver Spring, Maryland and the surrounding areas for more than 25 years. Owner Rich Gakavian strives to provide a level of service and dedication that is unmatched by local competitors. Rich takes great pride in assisting those throughout the community and he backs all services by a complete customer satisfaction guarantee. My Carpet Cleaning Service is a member of the Greater Silver Spring Chamber of Commerce, Ethical Services™, and The Carpet and Rug Institute, and is IICRC certified. Rich and his team offer carpet cleaning services, pet stain and odor removal, upholstery cleaning, tile and grout cleaning, air duct cleaning, fabric protection, mattress cleaning, 24-hour emergency water extraction, dehumidification, and structural drying. PLEIN Cleaning, LLC provides professional cleaning and maintenance services to customers throughout the DC metropolitan area. In business since 1999, the company caters to a wide range of facilities, commercial and retail facilities, banks, universities and schools, pharmaceutical laboratories, and residential homes. It delivers cost-efficient and customized cleaning programs tailored to the needs and specifications of existing and potential clients. Its customized solutions include general office cleaning, flood damage services, carpet cleaning, floor stripping, waxing, and polishing. PLEIN Cleaning has earned certifications from the Minority Business Enterprise, the Maryland Department of Transportation, and the City of Baltimore Minority and Women’s Business Office.